The home run record is one of the most hallowed records in all of baseball. Babe Ruth had set the mark at 714 when he retired in 1935. Hank Aaron surpassed Ruth in April of 1974 and ultimately set the standard at 755 when he retired in 1976. Along came Barry Lamar Bonds, who at one time in his career, had at least eight seasons of 40 or more home runs, including a record-setting 73 home runs in 2001 to finish his career with the most home runs in baseball history with 762. 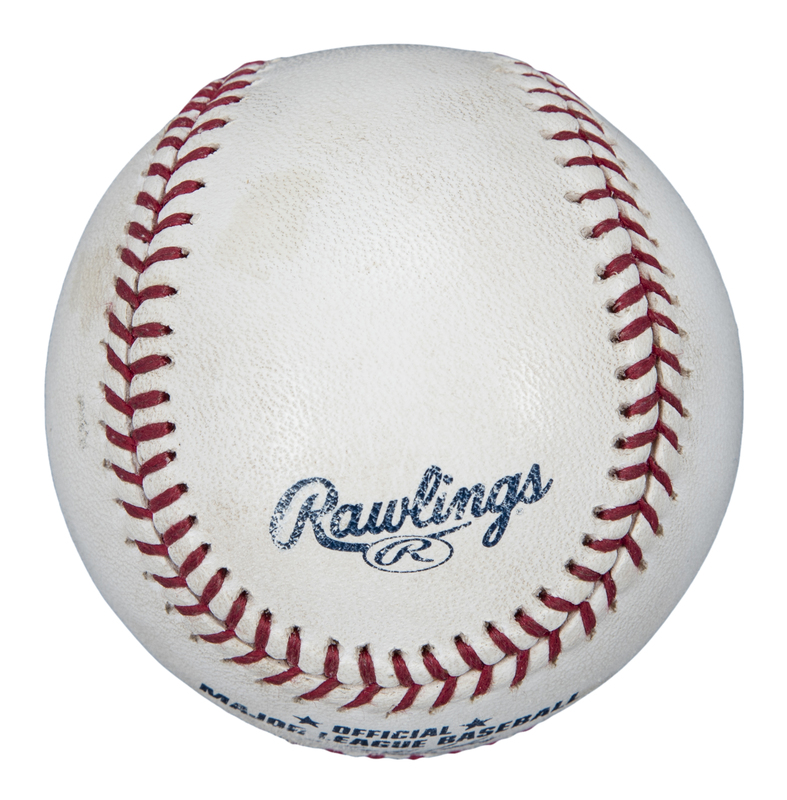 Goldin Auctions is proud to offer the very home run ball Bonds hit for his record-breaking 762nd career home run. Bonds’ pursuit of Aaron’s record came to an end when Barry launched career home run 755 on August 4th, 2007 at San Diego of pitcher Clay Hensley to tie Aaron. Just three days later Bonds had the record all to himself when he homered in front of the Giants’ faithful off Nationals’ pitcher Mike Bascik setting off celebrations at the then-named AT&T Park in San Francisco. It also set off the bidding war for the historic baseballs that were caught in the stands for these historic home runs. 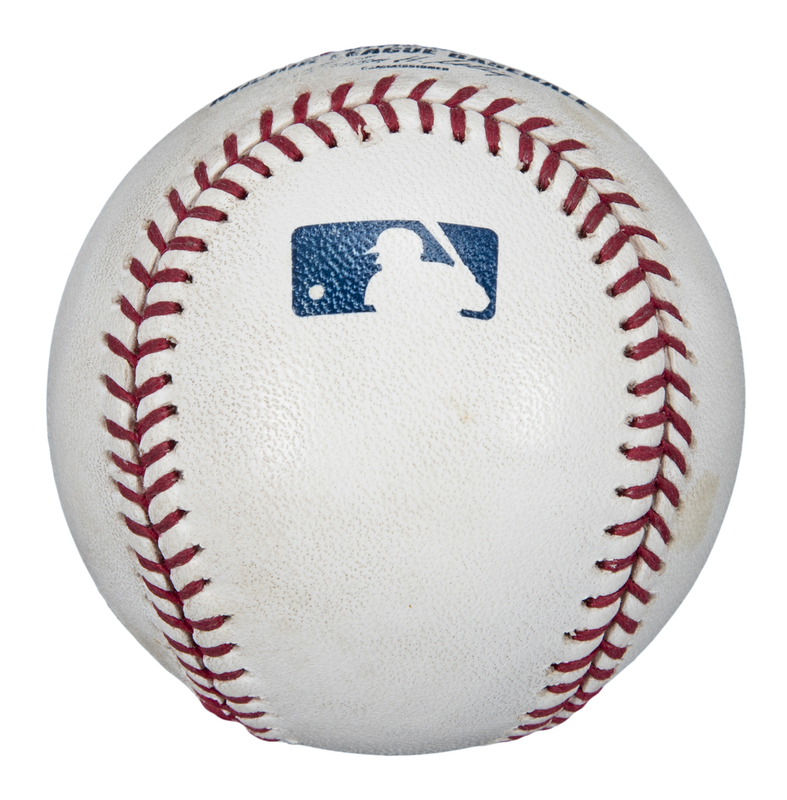 The HR #756 baseball sold for $752,000 in 2007. However, with Bonds still adding to his record-home run total late in the 2007 season, there was no telling how many more home runs Bonds would hit. During the September 5th game, he took Colorado Rockies pitcher Ubaldo Jimenez deep to left field at Denver’s Coors Field for his 28th home run of the season and 762nd of his career. What seemed like at the time a mere footnote in history, turned out to be history in the making. Unlike the mob scene in the stands that occurred to own a piece of history for some lucky fan when he broke Hank Aaron’s home run record by hitting home run 756, Bond’s 762nd home run ball was a typical battle in the left field stands between three fans. The lucky fan, then-24-year-old Jameson Sutton, emerged with the now historic baseball that is offered here after a mild scrum. 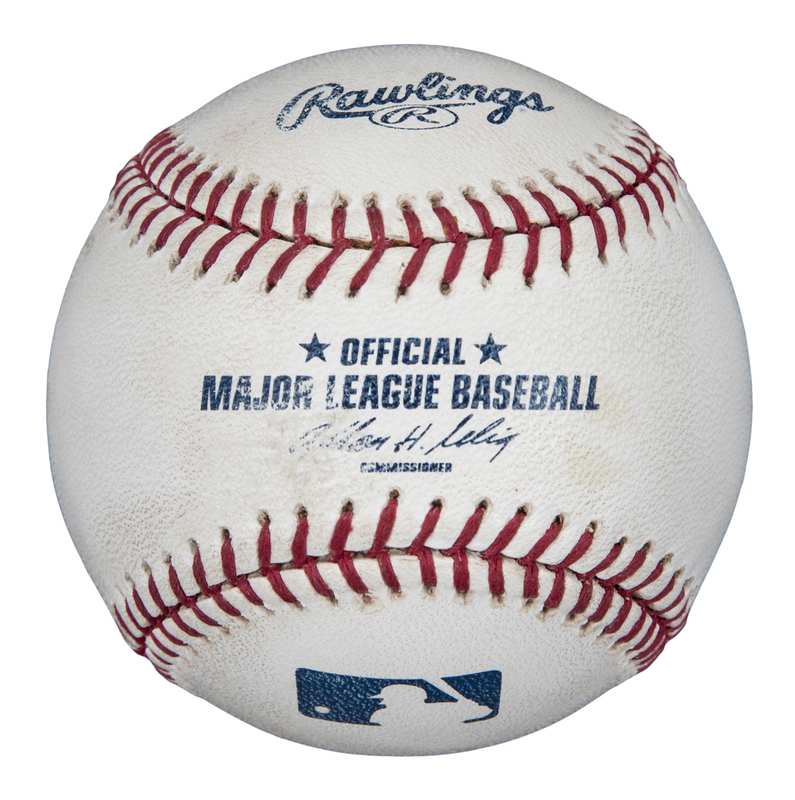 With the likelihood of Bonds hitting multiple home runs before season’s end, Major League Baseball were not even marking the baseballs like they had done previously. According to reports at the time, MLB was planning on resuming the marking of baseballs during the final two weeks of the season, something they had done in 1998 with Mark McGwire. 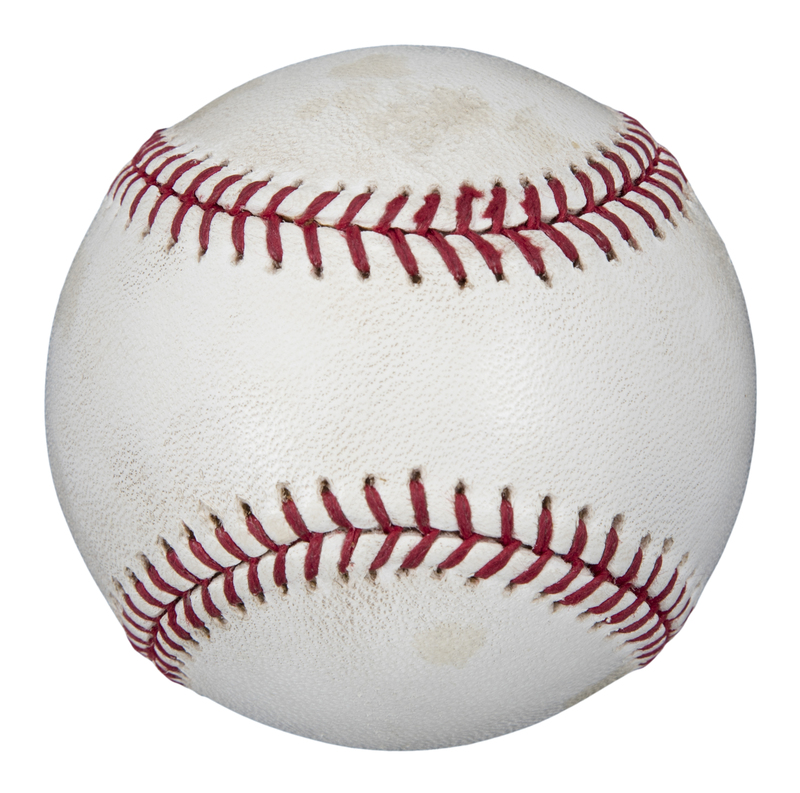 However, due to an unforeseen home run drought, an injury and subsequent retirement, there were not other baseballs that had the special markings done by MLB for historic or milestone home runs. Sutton had already received a batting practice baseball from one of the grounds crew prior to the September 5th game as both teams did not take batting practice due to the weather. When Bonds’ 762 ball was heading toward Sutton, he had the BP ball in his bare hand and dropped that ball while getting a glove on the actual home run ball. Both baseballs went to the ground and Sutton was able to retrieve the actual home run ball, while the BP baseball was picked up by Robert Harmon, who initially thought he had Bonds HR ball, but realized shortly after that the ball he had was not a game ball. 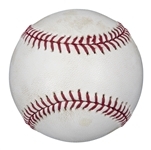 The offered baseball here is an Official Major League Allan H. Selig ball. 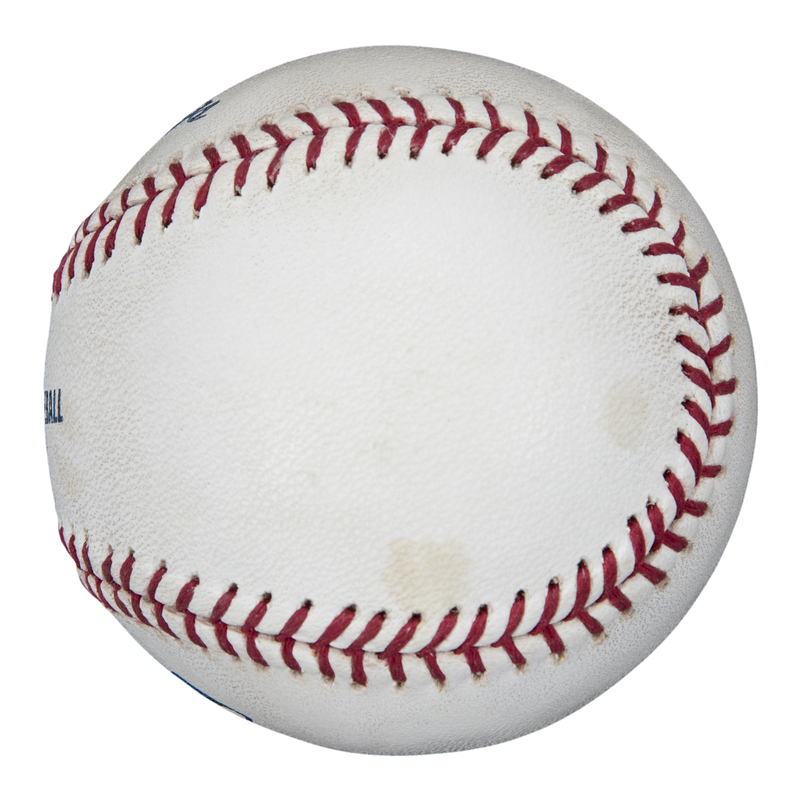 The MLB logo is on the panel below the stamped sweet spot. 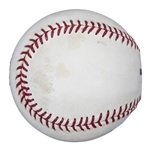 The ball displays moderate use with some rubbed dirt marks and an abrasion on the stamped sweet spot. 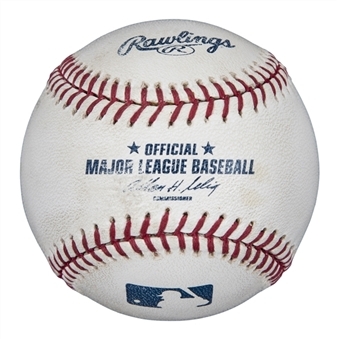 Sutton placed this ball in a safe deposit box until it was sold in April of 2008 for $376,612. The Mark McGwire 70th home run baseball sold in 1999 for $3,000,000. 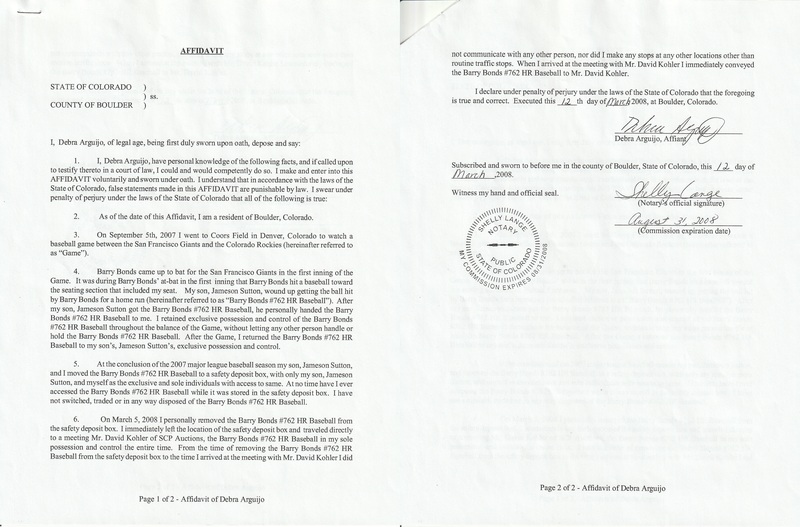 At the time this Bonds' home run 762 baseball was sold, no one was certain Bonds would not play again and there was no way to be sure that this was going to be his final home run as he did not retire, nor did he sign with a new team yet (which he never did). 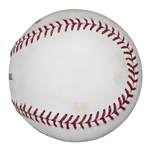 As such, the price of $376,612 was artifically depressed as this ball should be priced somewhere between the home run 756 baseball that sold for $752,000 in 2007 and the $3,000,000 Mark McGwire 70 home run ball from 1999. 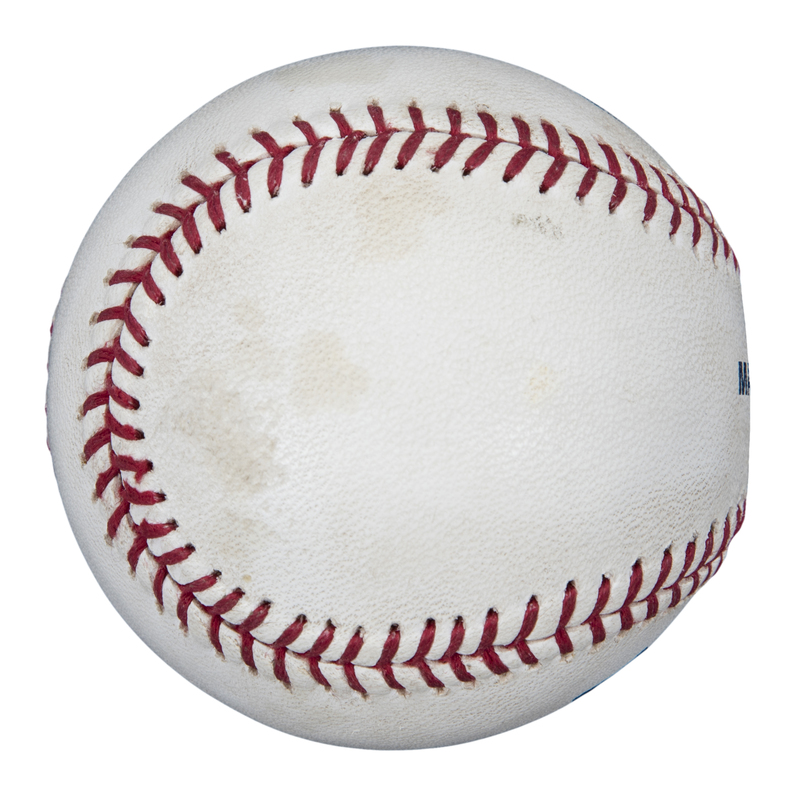 This historic baseball comes with impeccable provenance including three affidavits. 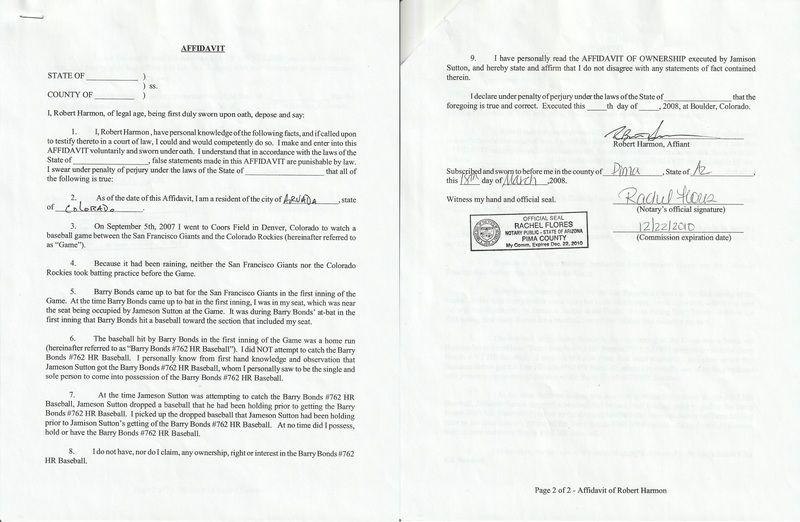 The first is an affidavit of ownership from Jameson Sutton stating that he was the “single and sole person to Catch the Barry Bonds #762 HR Baseball.” The second affidavit is from Robert Harmon, who states that he picked up the batting practice baseball that Jameson Sutton dropped and who states about Sutton in regarding the Bonds #762 ball “I personally saw to be the single and sole person to come into possession of the Barry Bonds #762 HR Baseball.” The final affidavit is from Sutton’s mother Debra Aguijo, who details the ball’s placement in a safe deposit box and its removal. 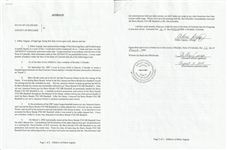 Additionally, there is a report from the Behavior Testing & Forensics Private Investigations and Polygraph Services that states: “This examiner therefore concludes the examination to be No Deception Indicated (N.D.I.) 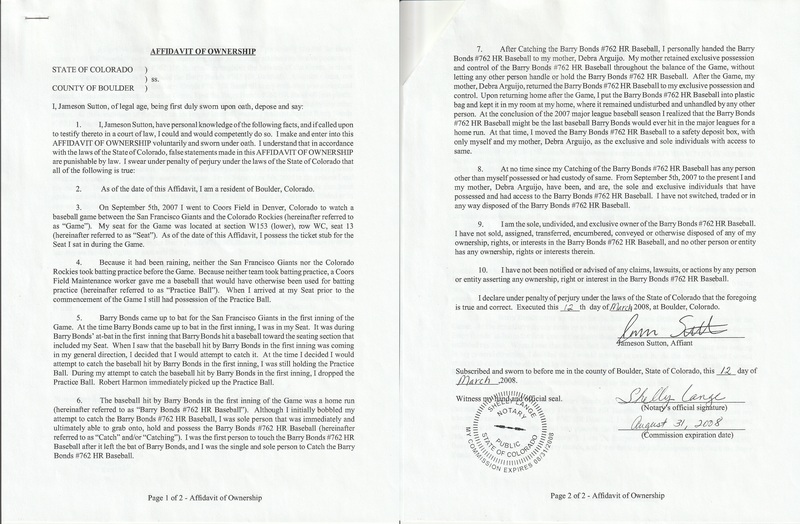 to questions set forth above.” Lastly, a DVD is included showing the ball being caught by Sutton in the stands along with a ticket stub of the exact seat in which Sutton was sitting and is referred to in the affidavit.